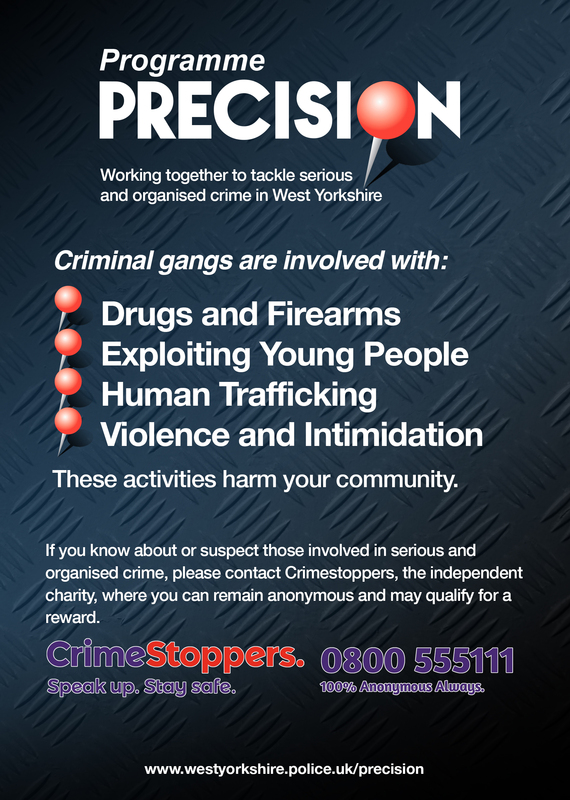 Programme Precision is the name of a new crackdown involving West Yorkshire Police, local partners and the public to work together to tackle serious and organised crime in the county. Serious and organised crime costs the UK economy around £37 billion every year and brings misery and suffering to those who become victims. Serious and organised crime covers a range of crimes including drugs, firearms, child sexual exploitation, cybercrime, modern slavery, gangs and county lines. 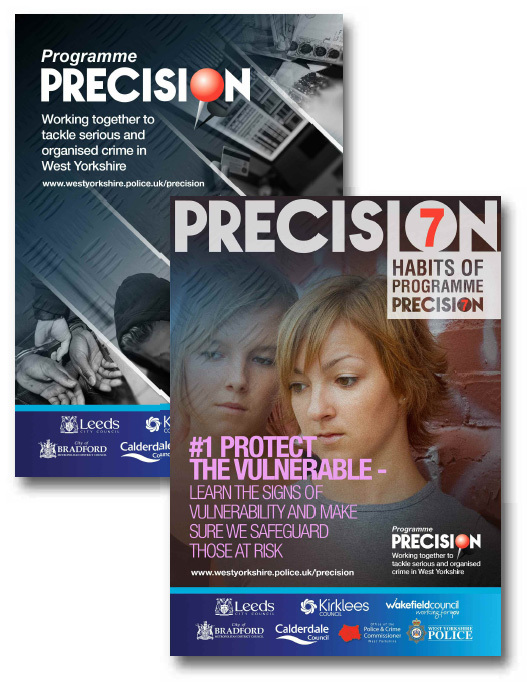 Find out more about Programme Precision via the video below which includes interviews with Kersten England, Chair of Programme Precision Executive Steering Group and Chief Executive of Bradford Council; Assistant Chief Constable Russ Foster, Specialist Crime – Programme Precision, and West Yorkshire Police and Crime Commissioner Mark Burns-Williamson. "Programme Precision is our collaborative response to the threat of serious and organised crime." "This strategy sets out our common vision and commitment to work together in tackling these threats to ensure our communities can become safer places to live, work and visit." 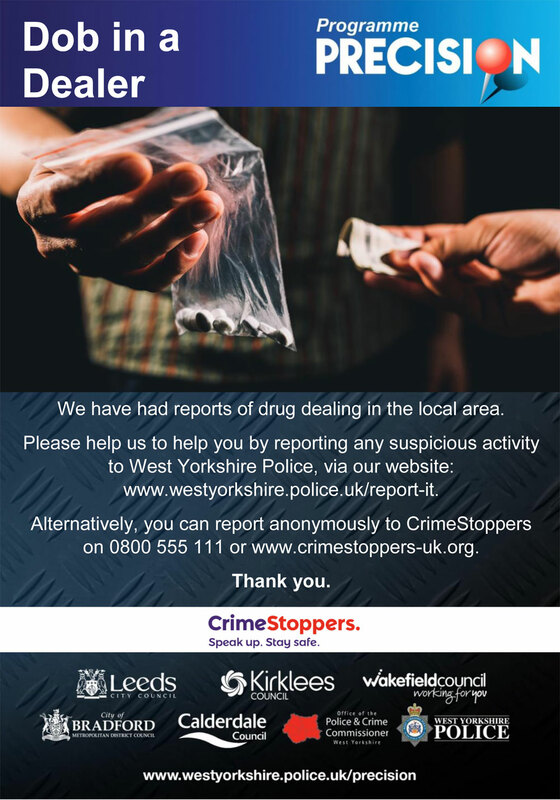 To build a highly effective pan West Yorkshire partnership which will work together to make West Yorkshire a hostile environment to those who seek to exploit our communities to benefit from all forms of organised crime. We will focus our efforts on identifying and protecting those vulnerable to organised crime and support and protect our communities. Ensure a comprehensive understanding of organised crime including who is involved and where it takes place. Gather and share information and intelligence from all partners, including the community, helping to raise awareness of the threat posed by serious and organised crime. Develop appropriate partnership interventions to deter people from becoming involved in serious and organised crime and rehabilitate those caught up in criminality. 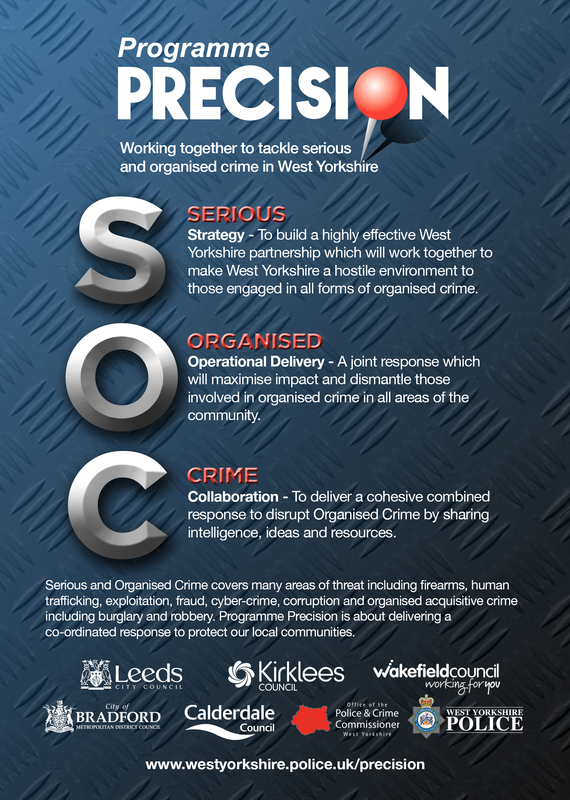 Make West Yorkshire a hostile environment for those engaged in serious and organised crime. To pursue OCGs through strong and effective partnerships, sharing multi-agency intelligence and resources to maximise impact and disruption resulting in the dismantling of OCGs. To deliver a cohesive partnership 4 ‘P’ strategy to co-ordinate the partnership response to identify and dismantle OCGs. Through a whole partnership approach reduce the threat and risk posed by OCGs. To reduce the risk of harm and increase confidence in our local communities that all statutory agencies actively pursue OCGs. Prepare: Reducing the impact of this criminality where it does occur. 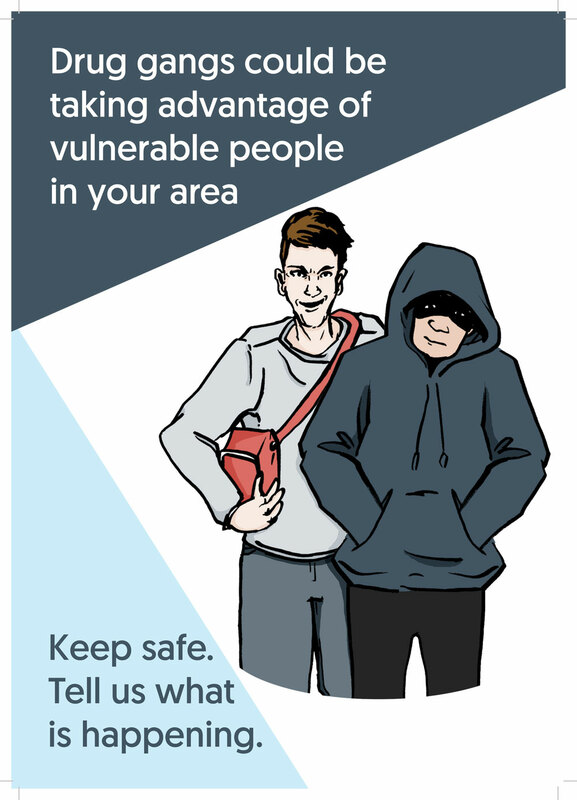 Prevent: Preventing and deterring people from engaging in serious and organised crime. Pursue: Exploiting opportunities to disrupt and where possible prosecute those engaged in serious and organised criminality. Protect: Taking measures to increase protection for individuals, businesses and communities from serious and organised crime and safeguarding those most at risk from it. Follow the link below to read the Programme Precision Strategy. The below leaflet is aimed at parents/carers of children, to educate them on around the signs of child exploitation and the actions that they should take.